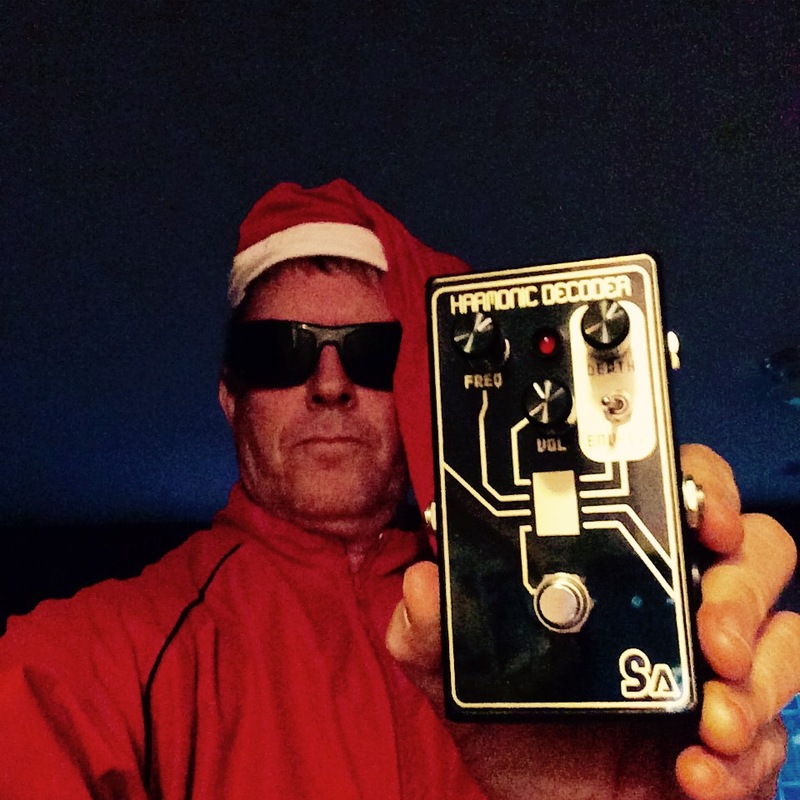 Our contest for the Sunsine Audio Limited Edition Gold Harmonic Decoder is over, but we just received some feedback from Jeff, the winner. You remember the Harmonic Decoder right? It’s a pedal based on a Phase-locked loop which is an electronic circuit with a voltage – or current – driven oscillator that is constantly adjusted to match in phase (and thus lock on) the frequency of an input signal. In addition to stabilizing a particular communications channel, a PLL can be used to generate a signal, modulate or demodulate a signal, reconstitute a signal, or multiple or divide a frequency. According to owner/builder Fletcher Kaufman, “The Harmonic Decoder can sound like a fuzz, an octave/harmony pedal, a filter/wah, a complex waveshaper or some crazy bent 8 bit glitch box.” Fun stuff. [l]ooking forward to trying it out in a band setting. It is a CRAZY pedal! Very unpredictable. (I read a review that said the same thing.) Has some really cool, out of this world, sounds. Have already recorded with it direct to DAW. Really adds some cool “spice” to “normal” guitar tracks (when used on a separate track.) Thank you again. This is one pedal I will NOT be bored with! Looks like this one fell into the right hands and Fletcher and those of us at Pedal Finder couldn’t be more pleased. Again, thanks to Sunsine Audio for making this giveaway possible. Keep an eye on what he’s up in the future by ‘liking’ him on FB, or visiting his website. Of course, we’ll be keeping tabs on there here as well! 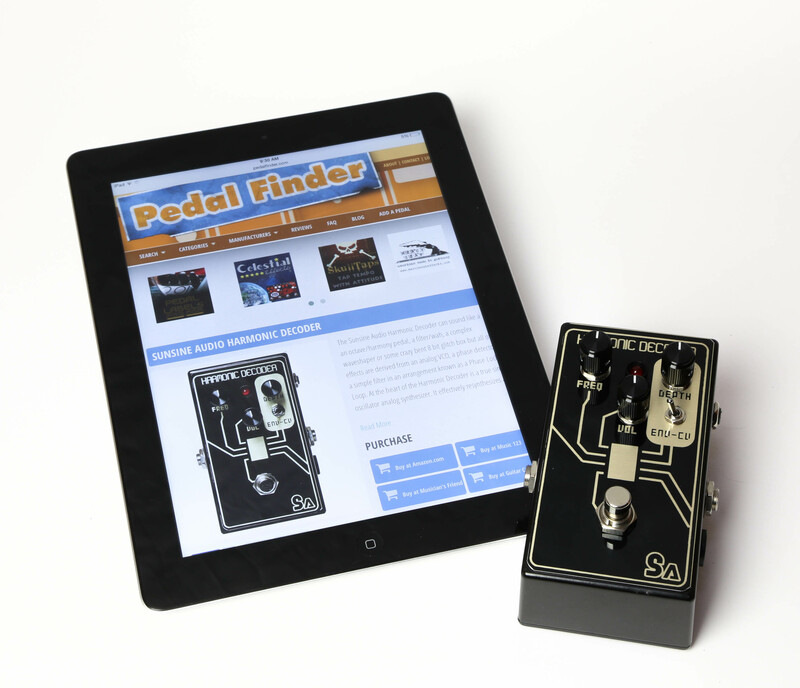 And remember, if you get something from Sunsine Audio on your board – leave a formal review at Pedal Finder so we can all learn from your experience. Stay tuned for our next giveaway starting soon!